Sources say that the IPS officers are peeved that IAS batches are being regularly upgraded, while they are not. In the Modi sarkar, Indian Police Service officers are carrying a grievance. While the government has been inducting officers from services other than the Indian Administrative Service as joint secretaries, the IPS officers are lagging behind. Though both IAS and IPS officers are supposed to get promoted to joint secretary level scale in 14 years, the government seems to be leaning in favour of the IAS officers. Sources say that the IPS officers are peeved that IAS batches are being regularly upgraded, while they are not. The example of 1996 batch IPS officers whose promotion took 19 years is often cited as an example of the “neglect”. It is felt that the IAS fraternity continue to wield their considerable clout over senior appointments, at the cost of the other services. Clearly, this is another example of the turf war which continues to wage within the all India services, with the “heaven born” using their clout to protect what they believe is rightfully their stomping ground. Apparently, things were better during the United Progressive Alliance regime when all service batches were upgraded at the same time. 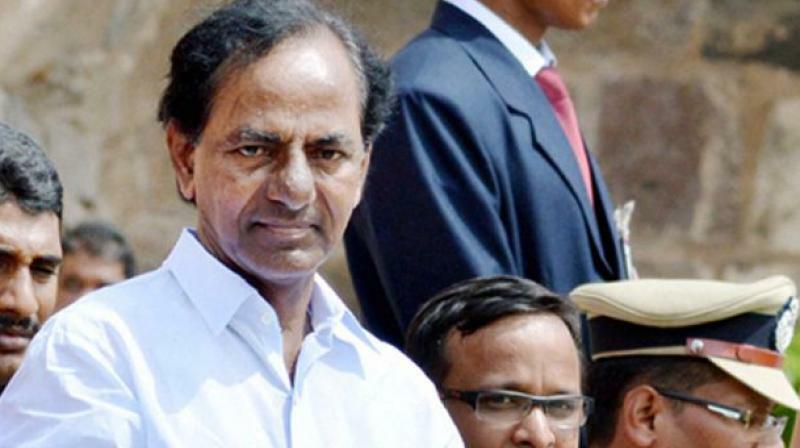 The babu crisis in Telangana is so severe that chief minister K. Chandrasekhar Rao wants to set up a new state service. The proposed Telangana State Administrative Service (TSAS) will be filled with officers equivalent to those from Group-1 and Group-1 B in the present structure. Sources say that the Telangana State Public Service Commission, in consultation with senior general administration department (GAD) officials and the department of personnel and training (DoPT) of the Central government will decide the guidelines. The decision stems from the failure of the Centre to acquiesce to the state government’s repeated requests to allot at least 40 IAS, 35 IPS and 30 IFS officers to the state to ensure smooth administration. A committee consisting of deputy CM Kadiyam Srihari, ministers Harish Rao, Pocharam Srinivas Reddy, Etela Rajender, chief secretary S.P. Singh, senior officials S.K. Joshi, Suresh Chandra, Ajay Mishra, B.R. Meena, Rajiv Ranjan Acharya, Adhar Sinha and DGP Anurag Sharma is working on the proposal which will be sent to the Centre soon. While the Modi sarkar aggressively uses a variety of digital tools and platforms, and encourages its babus to use digital platforms to communicate with the public, the Bharatiya Janata Party government in Rajasthan doesn’t seem to share the enthusiasm. Recently, the state government has directed all officers and other employees to not make any “baseless” comments or allegations against any person, party or organisation through press or social media. A circular issued by state personnel secretary Bhaskar A. Sawant refers to the All India Services (Conduct) Rules 1968 and Rajasthan Civil Services (Conduct) Rules, and states that no officer or other employee shall over any media make any statement or opinion which has the effect of an adverse criticism of any policy or action of the government. The employees through the circular issued recently were warned of disciplinary action if found involved in making baseless allegations or comments. In the circular, Mr Sawant also warned of strict disciplinary action if any officer or employee failed to comply with the directions.